Quillow Pattern from Man Sewing - Rob Appell - Missouri Star Quilt Co.
Maybe I should admit it, but some of my best ideas start as a joke,and this is the latest example. 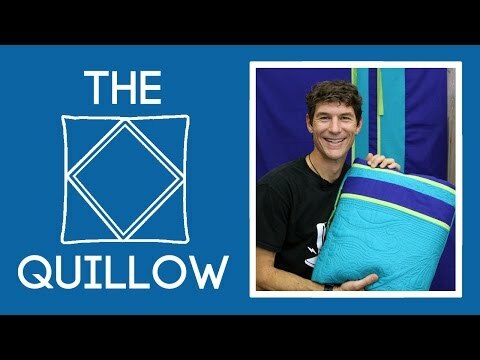 While I was laughing with some of my friends about how I might look in a quilted vest, I mentioned my love for the quillow. Which is just like it sounds, a combination of a pillow and a quilt. I was then challenged to bring the quillow back and make it cool once again. So I added a few racing stripes to a simple quilt pattern, folded it down into a pillow,and voila! That's pretty awesome quillow. They don't get much cooler than this. Finished Quilt Size: 39" X 72"